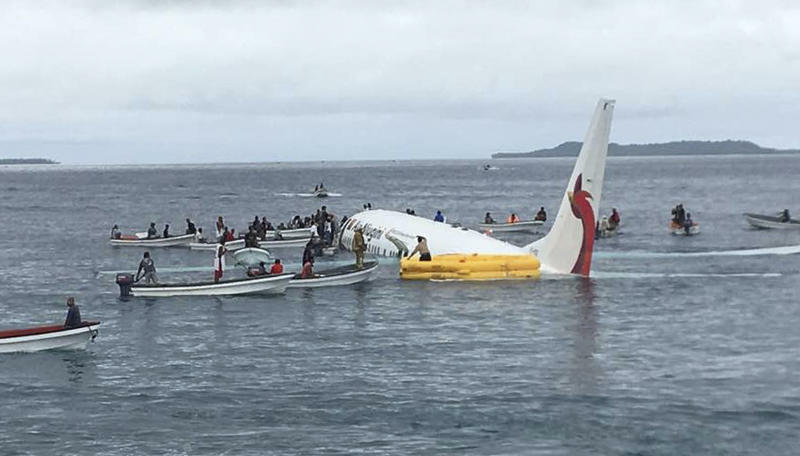 WELLINGTON, New Zealand (AP) — The airline operating a flight that crashed into a Pacific lagoon in Micronesia on Friday now says one man is missing, after earlier saying all 47 passengers and crew had safely evacuated the sinking plane. "This has been confirmed by other passengers that the unaccounted person had safely evacuated the aircraft and he was seen in one of the local dinghies that were assisting with transporting the passengers and crew to the shore," the statement said. "Local authorities and the airline are continuing to investigate the location of the unaccounted passenger." "I was really impressed with the locals who immediately started coming out in boats," Jaynes said in an interview with a missionary in Chuuk, Matthew Colson, that was posted online and shared with The Associated Press.